We asked the below question to our FB-community and we thank our fans for coming up with answers and making the discussion lively. The reason we posed this question was because it throws up a number of interesting subtleties in AAC strategy, which every parent should know. First a disclaimer that the ‘correct’ answer depends on the child, and you should consult the child’s therapist for the best advice. While open-ended questions may work for some children, it may not be easy to get an answer from children who are just starting to communicate. If they don’t respond well to these types of questions, offering a choice is a good way to start. Choice-making is one of the initial communicative functions children learn, and it gives them control over their lives. Read more about it here. Choice-making increases independence and decreases frequent behaviour problems1. When you offer choices, it’s best not to offer too many options at the same time, which may be confusing. It is a good idea to begin with a choice between two items. 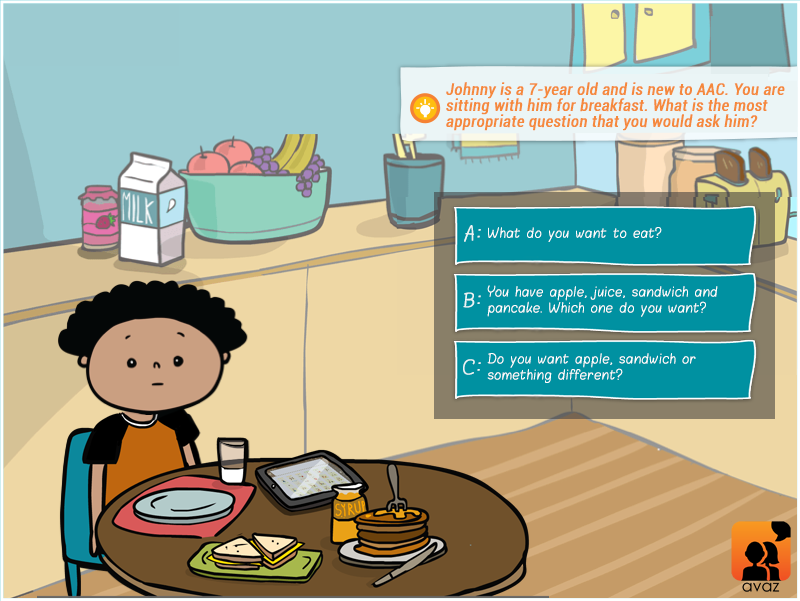 In the third option from above, “different” gives the child a chance to explore a choice outside the first two and encourages autonomous communication. 1Functional communication training using assistive devices: Effects on challenging behaviour and affect. Augmentative and Alternative Communication, 9, 168-176. – Durand, V. M. (1993).